It’s October, autumn is in full swing, and before it makes its graceful exit (and it seems that won’t happen for a bit), we want to celebrate the beautiful colour display this season has to offer! There’s just something about autumn isn’t there? The gorgeous array of colours, the beautiful display of leaves everywhere and the crunching under your feet…not to mention the warmer, snugger fashion…there’s so much to enjoy! 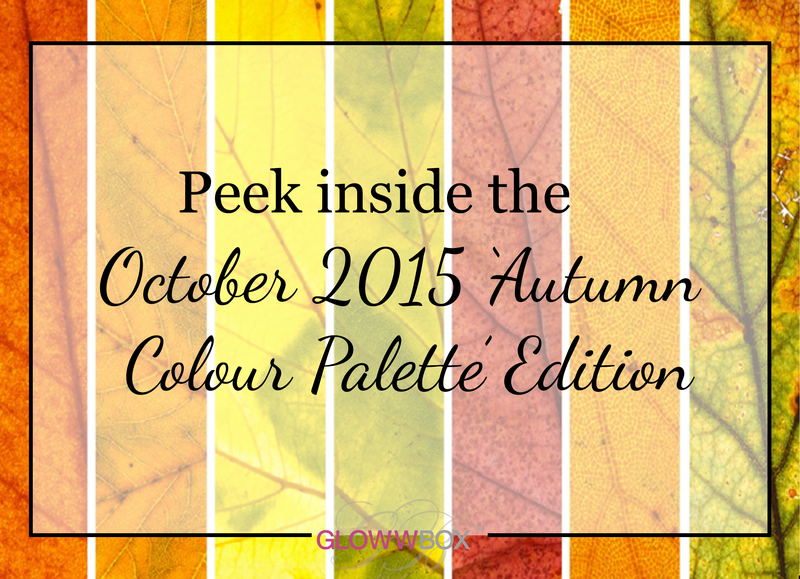 So we couldn’t be more excited to present to you our Autumn Colour Palette Edition! Packed with a collection of darker skin friendly beauty to let your lips, eyes and face glow, while your hair colour shines! This entry was posted in This Month's Edition and tagged autumn beauty, beauty box, brown beauty, darker skin tones., eyeshadow, glowwbox, wild about beauty, woc on October 4, 2015 by louisaglowwbox.